Flashing lights mean to pull over, Mr. Machine. Flashing lights in the rear-view mirror means you need to get out of the way. Humans know that. But in a future world where cars drive themselves, how will the machine know what to do? 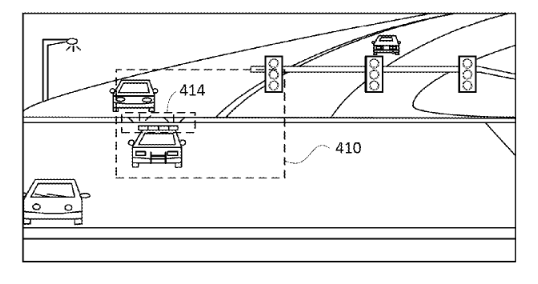 Google has an idea and it's moving to patent technology that will detect an emergency vehicle's flashing lights and respond correctly. Google's patent application was published September 1. The feature would allow an autonomous vehicle to see and interpret flashing lights and their colors, specifically red, blue, and a potential third color, which is a common scheme of emergency lights. Google's plans call for computing systems and filters to allow an autonomous car to understand the difference between an ambulance and a traffic light. The systems would also allow the car to determine what kind of emergency vehicle is approaching. Google's patent documents say the feature could use cameras and sensors to execute the detection. It will also account for glare and colors not linked to emergency vehicles. Additionally, Google's idea considers the need to communicate with vehicle systems like the navigation, acceleration, steering, braking, and others.